Time: Registration begins at 7:00 p.m. at Reilly Stadium. Registration will close at 8:45 p.m. on the day of the race. The 5k run will start at 9:00 p.m. 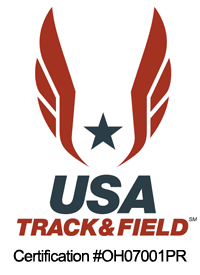 Location: The 5k race starts and finishes on the track in Reilly Stadium - Pershing Street, Salem, Ohio. The course is made up of flat and gently rolling terrain through Centennial Park and the surrounding residential neighborhoods. Event Size: The average field in the 5k race is between 700 and 800 runners. Entry Fee: (Non-Refundable) $17.00 if received by July 26th; $20.00 for late registration and race-day registration. Online Registration is $17.00 at Gopher A Run. Online registration ends July 29th. (Please bring online receipt with you for confirmation) T-shirts are guaranteed to all participants pre-registered by July 22nd. Awards: 72 different awards will be given for the 5k night run. Awards will go to the top three overall males; top three overall females; and the top three in each age group. There will be no duplication of awards. Age Groups: (Same for male and female) 10 & Under, 11-14, 15-19, 20-24, 25-29, 30-34, 35-39, 40-44, 45-49, 50-54, 55-59, 60 & Over. Interested in becoming a sponsor of the Star Trax 5k? 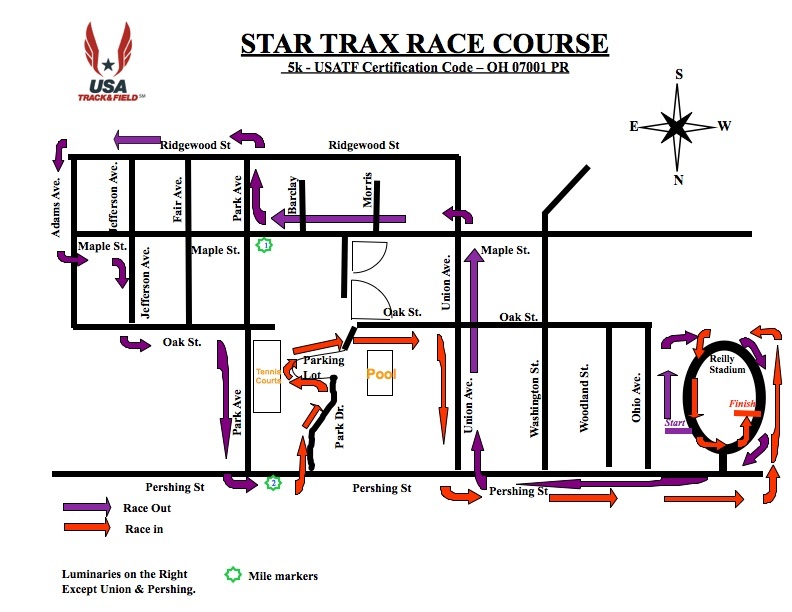 Join us for the Star Trax 5k on August 3rd.